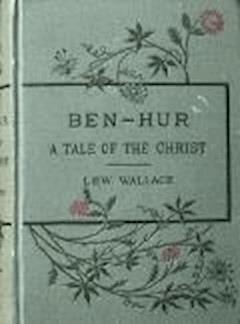 Ben-Hur: A Tale of the Christ is a novel by Lew Wallace published on November 12, 1880 by Harper & Brothers. Wallace's work is part of an important sub-genre of historical fiction set among the characters of the New Testament. The novel was a phenomenal best-seller; it soon surpassed Harriet Beecher Stowe's Uncle Tom's Cabin (1852) as the best-selling American novel and retained this distinction until the 1936 publication of Margaret Mitchell's Gone with the Wind. The central character is Judah, prince of the Hebrew house of Hur. Judah grows up in Jerusalem, during the turbulent years around the birth of Christ. His best friend is Messala, a Roman. As adults Judah and Messala become rivals, each hating the other, which leads to Judah's downfall and eventual triumph. Elements of the story include leprosy, naval battles among galleys, the Roman hippodrome, Roman adoption, Magus Balthasar, the Arab sheikh Ilderim.